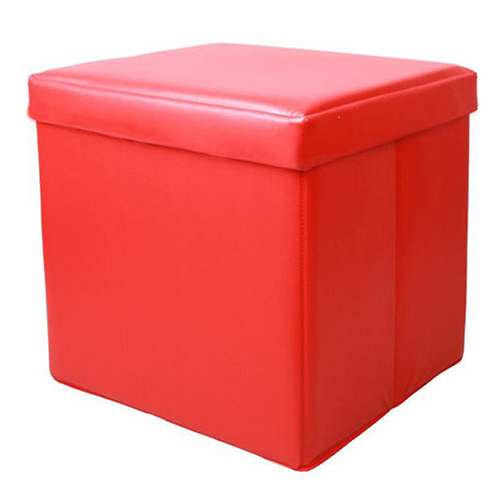 A solid wood frame makes this storage ottoman sturdy enough to sit on, and the padded seat provides comfort. 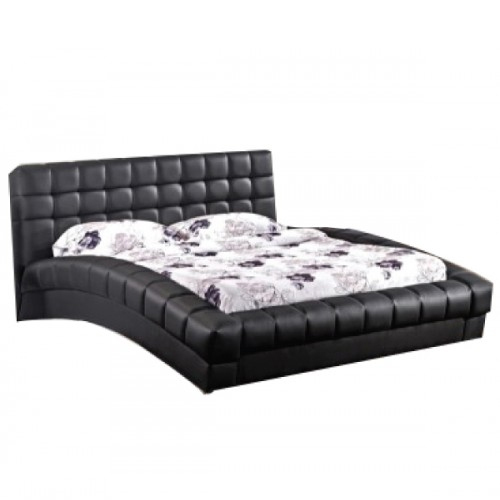 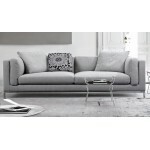 The faux leather cover upholstery has a luxurious feel and cleans easily. 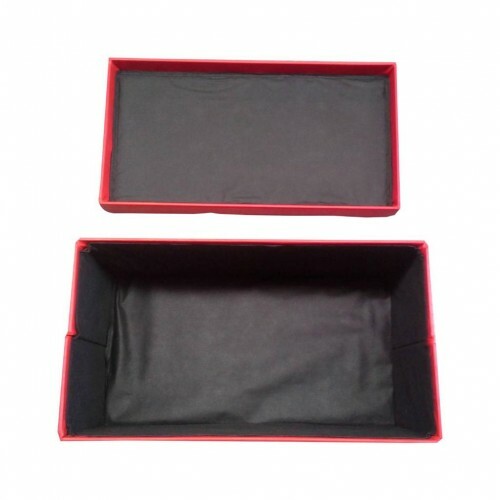 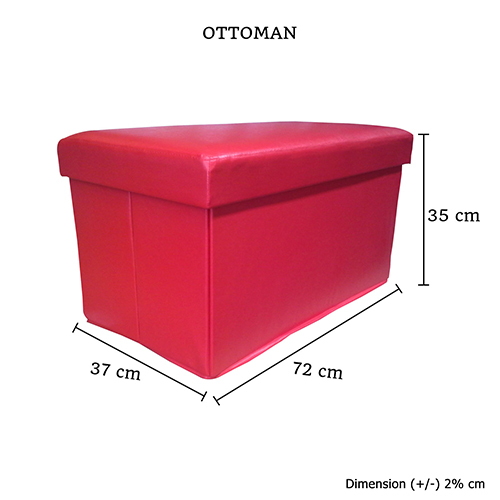 Complement your existing decor scheme with the elegant red cover, which adds visual interest to this square ottoman. 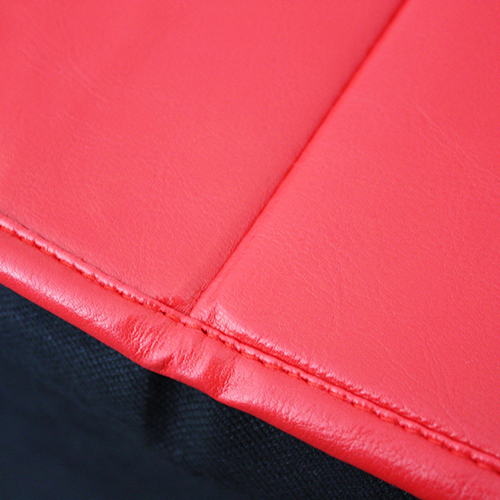 The edges of the ottoman are sealed with matching red colour stiches. These make theitem more durable and sustainable. 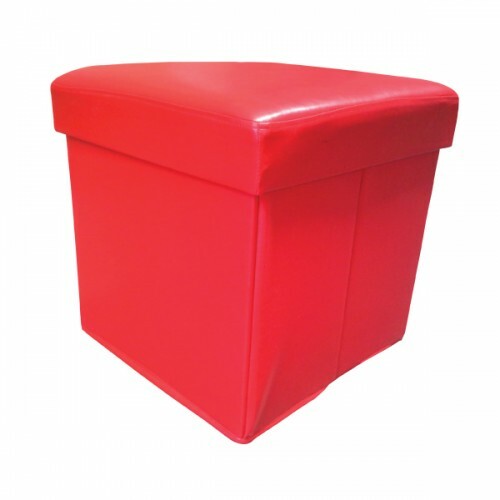 Easily add comfortable and practical decor to your home with this small storage ottoman featuring a flip cover. 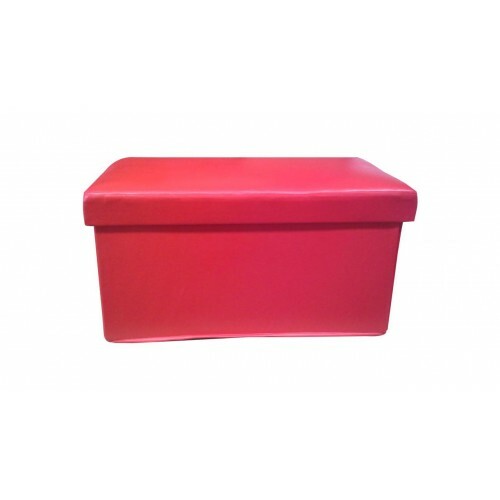 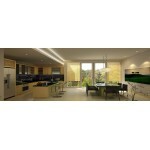 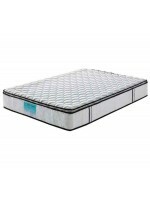 It features plenty of space to store items while remaining comfortable to sit or rest your legs on. 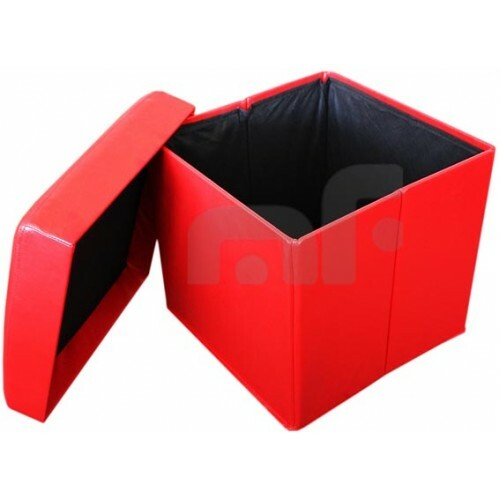 This extremely practical item would save space and help to keep your home neat and tidy.